Here at the Wildlife Habitat, we are all about the natives! 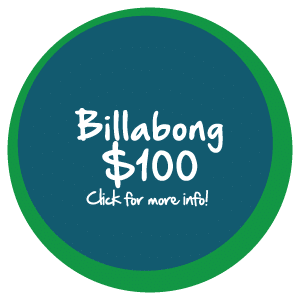 Our focus is native animals endemic to the far northern region of Australia. From this Wet Tropics area comes some of the country’s most endangered and vulnerable species. 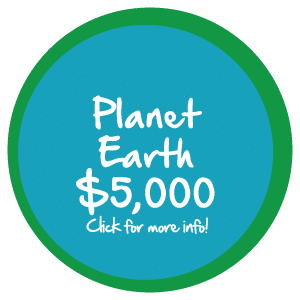 When you adopt an animal and become a Habitat Hero, you will not only be helping your sponsored animal, you will also be helping us to assist with efforts to protect these native species. Rehabilitation of native animals brought to our onsite Wildlife Care Centre. 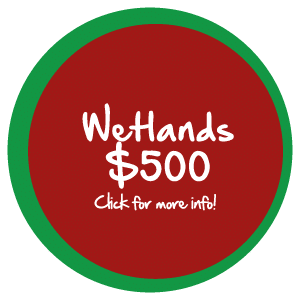 Our Wildlife Care Centre is funded by the generosity of The Woodward Family CaPTA Group and from donations from people like you. 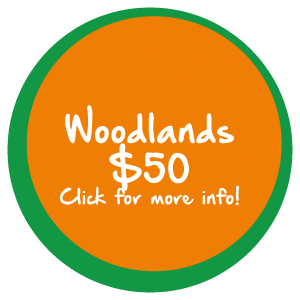 We take in sick, injured and orphaned native animals found in the surrounding community and brought to us by concerned citizens. We assist in the rehabilitation, veterinary provision and wild release of these animals. 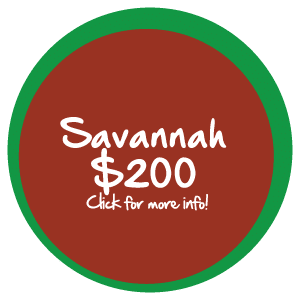 For full Terms & Conditions for the Habitat Heroes program, please click here. When you adopt an animal, your sponsorship is valid for 12 months from the commencement of the sponsorship. 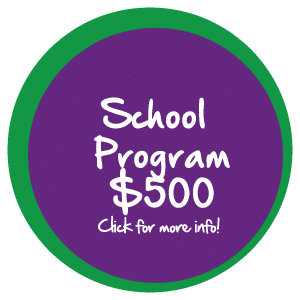 You’ll receive your Care Package in the mail shortly after signing up to your sponsorship, or you can arrange to collect from Wildlife Habitat on your next visit! A pretty impressive sample of his species, Babinda weighs in close to 400kg, and is approximately 4.2 meters long. He came to Wildlife Habitat in 2004. 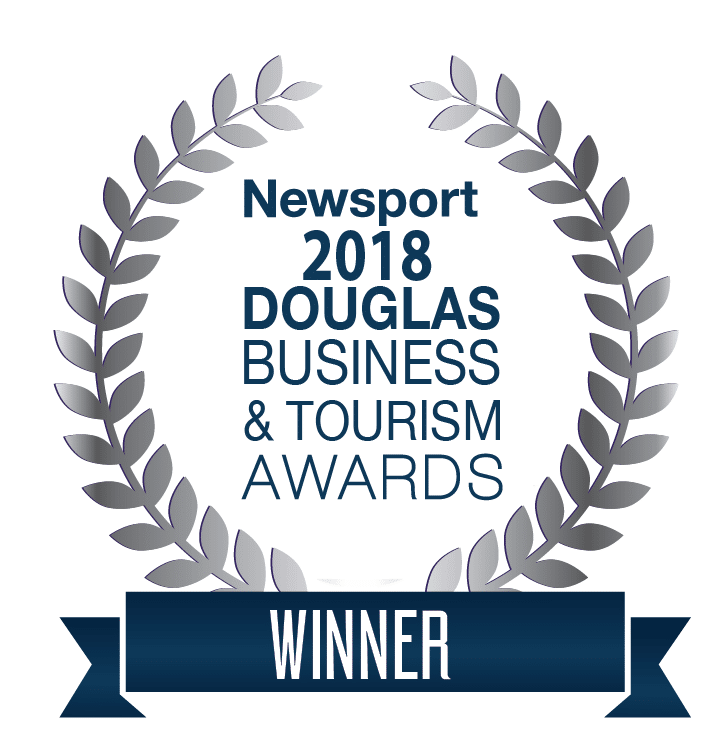 He was removed from the boat ramp at Babinda, a small township120kms south of Port Douglas, due to being deemed a nuisance Crocodile. “Salties” are a territorial animal, and Babinda has his own waterhole here at Wildlife Habitat, however he does co-habit with his girlfriend Sheila. The breeding season for Babinda and Sheila is during the Far Northern wet season from November to March. Most years Sheila produces a large clutch of fertile eggs that we send to similar facilities, so the juveniles can be used for educational purposes. We look forward to having Babinda and Sheila for a long time to come as their average age is 70 years young. Our beautiful Tia was born wild in approximately 2012. She was orphaned and consequently rescued and taken to a sunshine coast wildlife hospital. She was placed with a registered carer for hand raising. Further checks on Tia revealed she had reproductive cysts. One successful operation later Tia was well, however due to the nature of the operation she is now sterile, and cannot be released back into the wild. She arrived here to Wildlife Habitat early in 2014. Tia likes to travel, and we let her come with us to some off site venues on occasions. When she is on site with us, she is a model! She is super photogenic and sits in her tree captivating her audience. Tia eats Eucalyptus and there are over 700 different species in Australia. However, of those 700, she will only eat 25, and of that 25, she may only eat the ones she knows – talk about fussy! 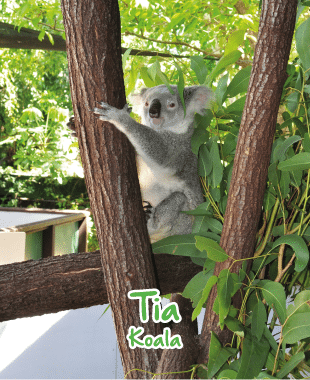 Your average koala will sleep for 18- 22 hours a day and Tia is no exception! One of Wildlife Habitat’s greatest success stories was James, Jabbie and their family. Jabbie was wild born and rescued as a malnourished juvenile. James and Jabbie were the WORLDS only successful breeding program of these birds in captivity. 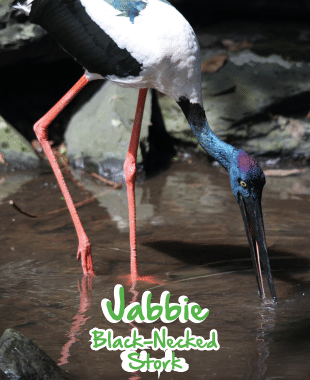 This impressive pair of Black-necked storks had 18 offspring. The chicks have been sent out far and wide, with some relocating to South Australia, New South Wales and Southern Queensland. Unfortunately James passed away in August 2018. 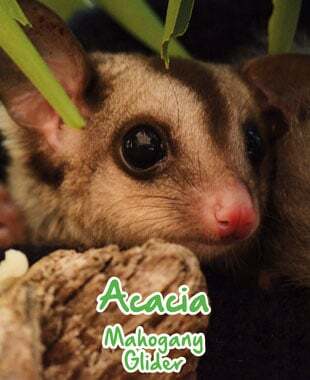 Acacia – Mahogany Glider – Endangered. Acacia is just a little bit special to us. Not only is she beautiful, adorable and an endangered species, she is also a part of a population management program for the Australian Zoo Aquarium Association. She is one of only a small population in captivity in the country. First documented in the 1800’s mahogany gliders were so rare to see in the wild, they went for nearly 100 years without being detected again. Rediscovered in 1989, scientists realised that they weren’t extinct, but critically endangered. 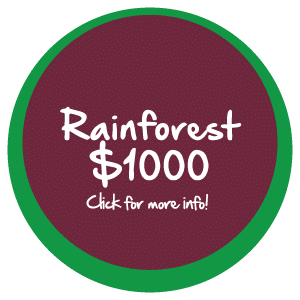 Their home in the wild is a narrow 122 km corridor in the Wet tropics south of Ingham – 300 km south of Port Douglas. Acacia has a little membrane that extends from her wrist to her ankle that helps her to “fly”. She is our little super hero in more ways than one! And for now, her home is with us! Elvis is our resident rock star. He hatched around 1980 and in 1988 earned his superstar status by being at World Expo 88 in Brisbane. Elvis spends his days with us preening and primping, as he is also one of our most popular birds. Elvis is particularly social, and a little bit cheeky. He can often be found sneaking around and making his way to the “bright lights” of the photo hut to have his picture taken or raiding one of the nearby food bowls. They say red heads have more fun, and with bright red stripes on his tail, Elvis lives up to that reputation every day! 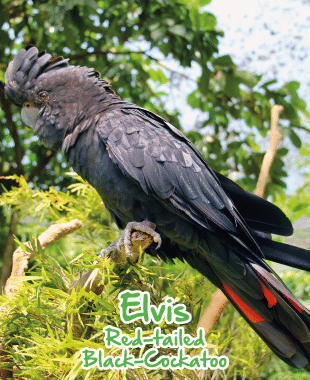 There are 5 sub-species of Elvis’s Red-tailed Black Cockatoo family, and 2 of his southern cousins are on the “under threat” list. Quinton was born with us here at Wildlife Habitat in January 2012. He is one of our favourite animals! Quinton lost his mum to illness when he was very young, so he was intensively hand raised by our keepers. A handsome young man, he is bold, cheeky, flamboyant and naughty all at once. 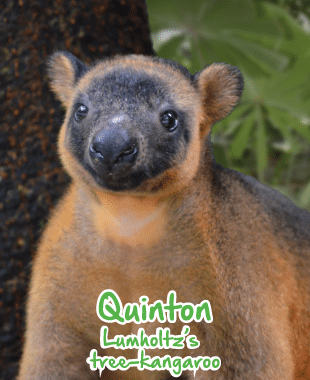 Quinton’s flatmate Colin is on exhibit and we are one of only four zoo’s in the country that have Lumholtz Tree Kangaroos on display. Maybe one day with all that swagger, Quinton will become a father. Until then, he keeps his girlfriend Ruby company behind the scenes. First discovered in 1883, Quinton’s species can be found in the Wet Tropics world heritage region of northern Australia, from the Carbine range to the Cardwell range. Lupin is a handsome boy. 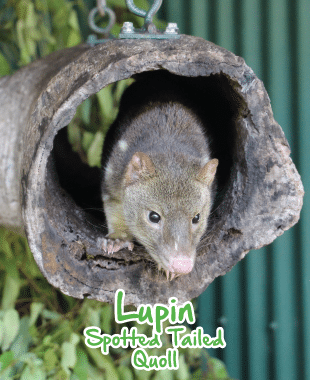 Sent to us from a Sanctuary in Victoria, Lupin now calls the warm climes of Port Douglas home. Related to the Tasmanian devil, Lupin spends a lot of his time during the day asleep. With bright eyes and a soft pink nose, don’t let his dapper beauty fool you. He has lots of sharp teeth and are mainland Australia’s largest carnivorous marsupials. Due to the cryptic nature of this animal, the exact number of Lupin’s species left in the wild is up in the air, however it is believed to be under 10,000. A decline in natural habitat, is just one of the factors that have made things tough on Lupin and his peers. Cassie really is a southerner! She was hatched in Adelaide in 1992. She arrived to us at Wildlife Habitat in April 1993. It is believed that there is only about 4000 southern cassowaries left in the wild. Cassie has a lot of sass, and has a funky little walk that she was hatched with. She spends her days eating fruit and “booming” to Airlie, her male counterpart next door. 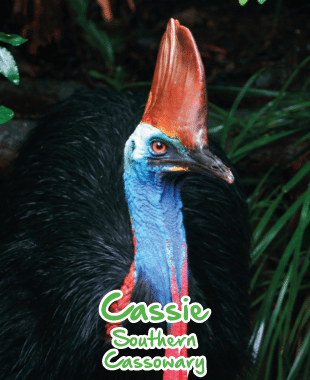 Almost prehistoric looking, and related to emu’s and the ostrich, cassowaries are not known for their beauty, but Cassie’s talents are vital in other ways. She is an essential part of germinating seeds to keep Rainforests growing. She can digest some fruits toxic to other animals, especially the cassowary plum. It needs to pass through the digestive system of the cassowary to be able to germinate. She is a woman of many talents! 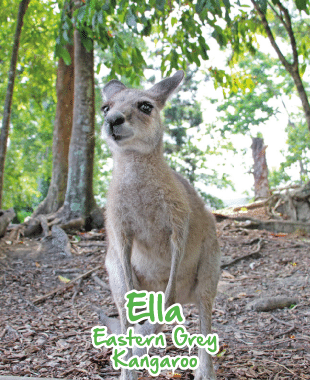 Ella is a favourite of the wildlife crew. She was born here with us; however, her mum was not quite ready to be a mum, and tipped Ella out of the pouch way too early. Several attempts to reinstate Ella back in the pouch failed, so she went to intensive off-site care with our keepers. Now a resident joey, she is growing up quickly. She spends her days in our Savannah habitat with other eastern greys, swamp wallabies, agile and parma wallabies. 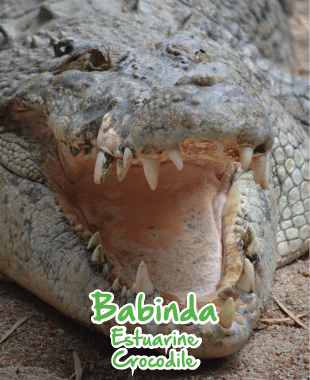 You can find her snoozing under the grandstand at Babinda – our salt water croc’s enclosure in the heat of the day, but in the cool of the morning and late afternoon, she will be out to greet you as she loves the attention. YOUR Wildlife Habitat Breakfast or Lunch experience (max. 8 people). 24hr advanced booking required.